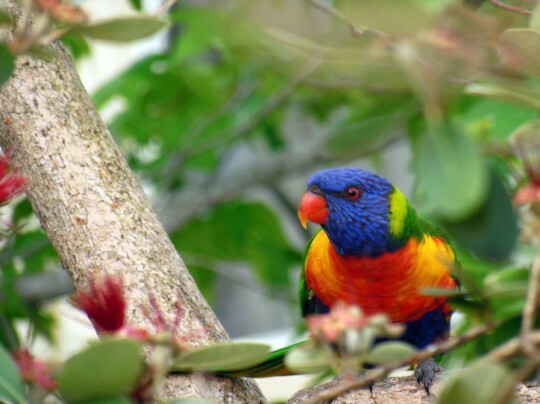 There were a few Rainbow Lorikeets in our garden this afternoon. I was photographing the sky at the time and managed to take a couple of photographs of the birds as well. 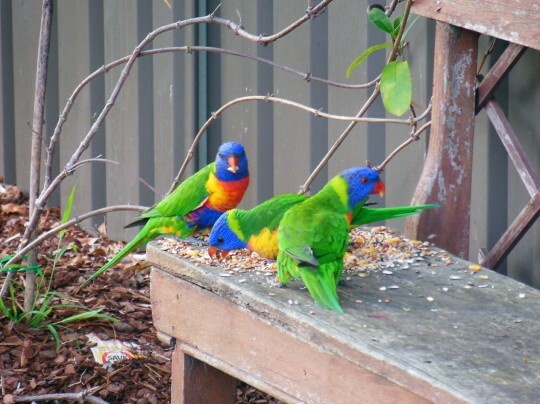 These particular birds are Swainson’s Lorikeet (T. h. moluccanus) and are common along the eastern coast of Australia. I took the photographs with a Nikon Coolpix S9200. A little out of focus.